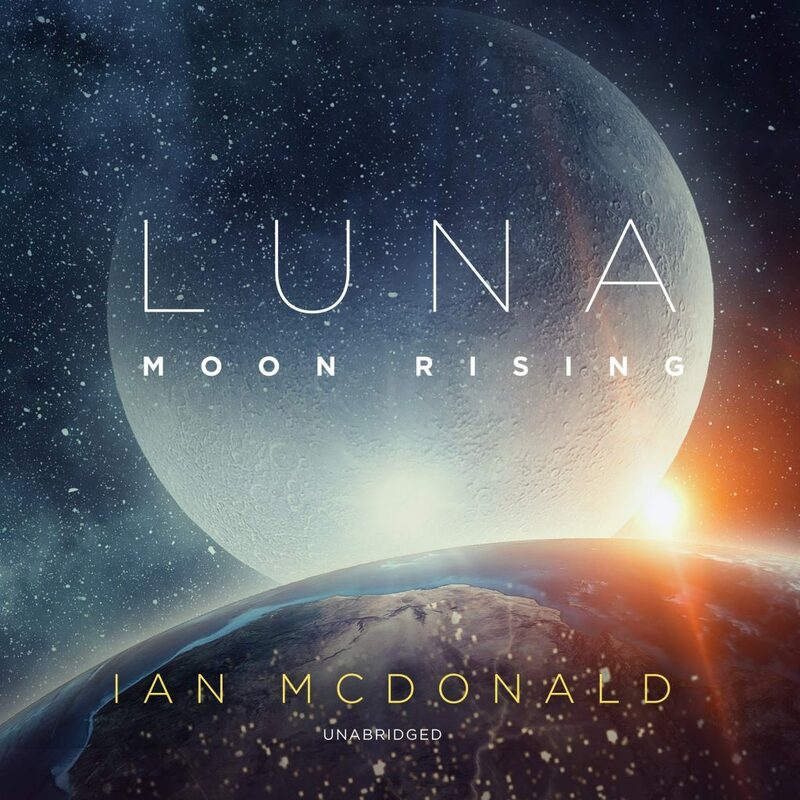 Ian McDonald's MOON RISING available in audio! 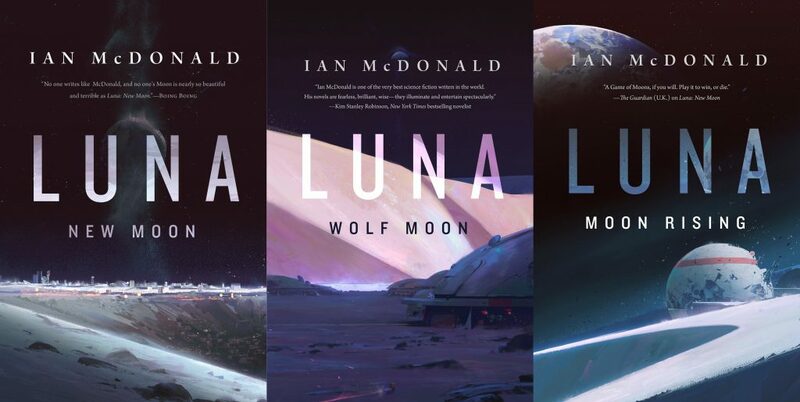 | Zeno Agency Ltd.
A hundred years in the future, a war wages between the Five Dragons — five families that control the Moon’s leading industrial companies. Each clan does everything in their power to claw their way to the top of the food chain — marriages of convenience, corporate espionage, kidnapping, and mass assassinations. 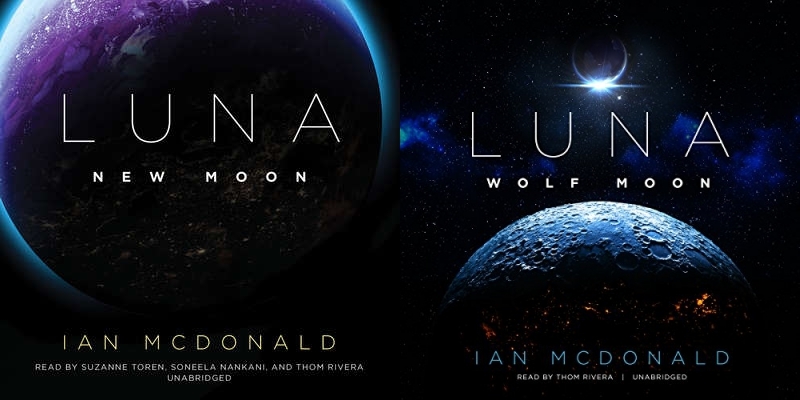 Blackstone has also published the first two novels in the series as audiobooks: NEW MOON and WOLF MOON. 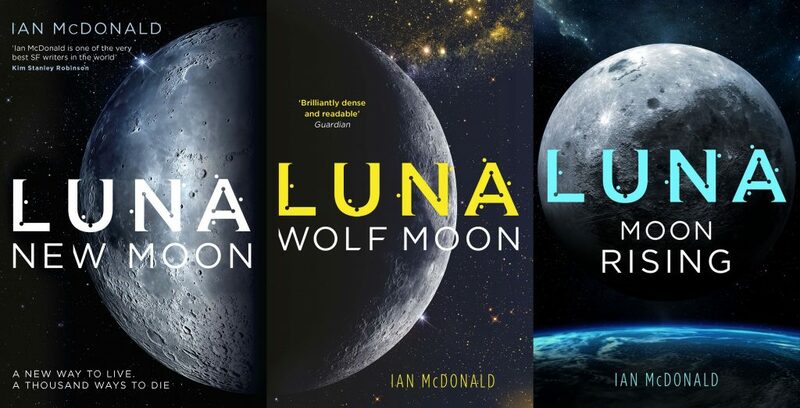 The print and eBook editions of the novel were published last month by Gollancz (UK) and Tor Books (North America) — each publisher has also published the first two novels in the series as well: NEW MOON and WOLF MOON. previous: Two Hugo Nominations for Aliette de Bodard! next: WHEN ALL IS SAID out now in the Netherlands!